Valentine Fudge Bundt Cake Recipe just in time for Valentine's Day. Valentine’s Day, Fudge and Cake….are synonymous aren’t they? A Valentine Fudge Bundt Cake dessert, teamed with Valentine’s Day and what more do you need? The above picture was taken several years ago on a Valentine’s Day. Sorry, I don’t remember which Valentine’s Day, but it had to be early on! Oh, you don’t see my favorite flower, the yellow roses??? 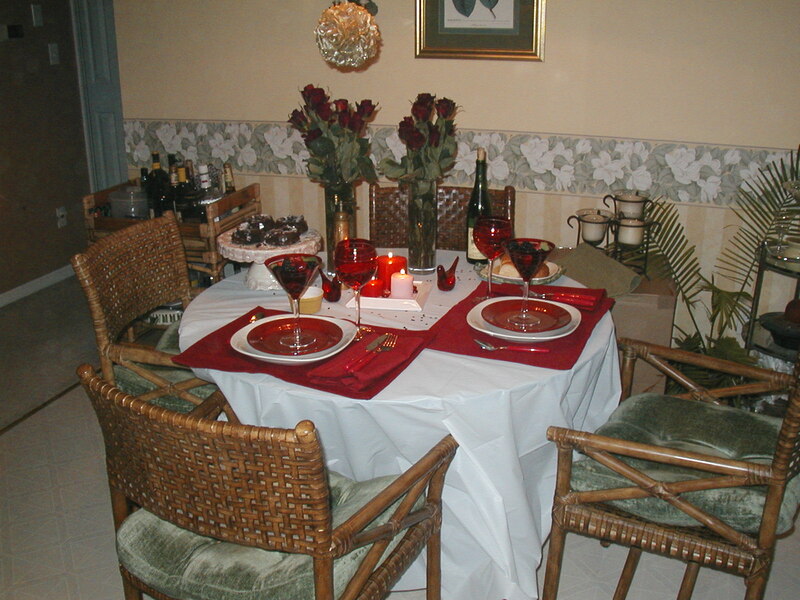 Ok, he got me red roses that year…..but the Captain has since redeemed himself with yellow roses for special occasions. His comment was…”yellow roses on Valentine’s Day”???????? The color of flowers matter little, when one is looking at individual Valentine Fudge Bundt Cake, dripping with Fudge frosting! 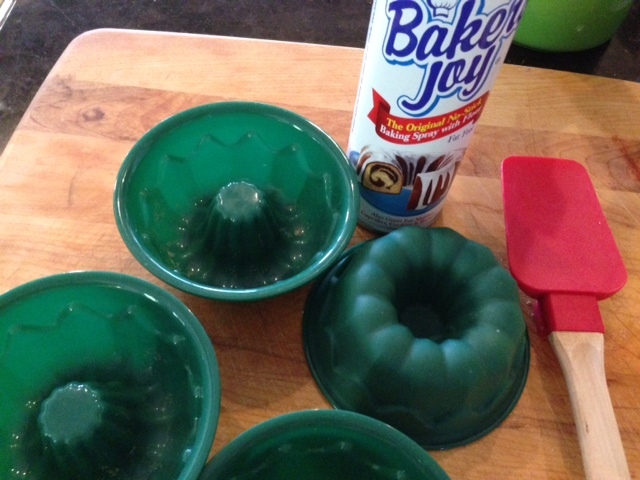 I made the little fudge bundt cakes with little green rubber molds. So cute! See below! Sad to report that the pink cake pedestal went the way of “broken”…don’t ya just hate when that happens? It couldn’t have been my slippery fingers….that only leaves one other person who is very suspect at this time! ………love, hugs, kisses and romance. That will be my mantra! The recipe for the Individual Valentine Fudge Bundt Cake follows, and of course is printable. A pudding cake that is rich and gooey! Perfect for Valentine's Day Dessert! Grease and flour 6 small rubber bundt pans or a 10-inch bundt pan. Beat all ingredients except chocolate chips, until well blended. Bake for 50 minutes to 1 hour (toothpick test may not work to test doneness). Cool for 15 minutes in the pan before turning upside down onto a wire rack to cool completely. Drizzle chocolate sauce or chocolate syrup over the bottom for a more chocolate flavor. Sprinkle powdered sugar if you do not choose to drizzle more chocolate. Oh, I wish you would come and live at our house. My husband would love you. lol On second thought, I might not love you so much. Grin! Do you get the idea I don’t like to cook. I used to, truly I did, but not anymore. HOWEVER, I don’t like to fold laundry…and THEN you have to put the folded clothes away! I’ve been known to leave folded (or unfolded) towels and wash cloths lying on the folding counter in the laundry room for several days. I used to love to cook, but I’m getting old and don’t really care for it much anymore, Kari. Folding laundry only takes a few minutes whereas cooking can take a lot longer. Smile.